For permanent fencing, providing strong, attractive boundaries for sporting facilities, paddocks, holiday and theme parks, or in gardens, Liniar picket fencing is ideal. Liniar fencing is made in its Derbyshire factory using lead-free, window grade, durable uPVC. Incorporating a unique mounting system, again in uPVC, the system is quick and easy to erect. Made from lead-free window grade durable uPVC, Liniar’s picket fencing is designed and manufactured at its state-of-the-art Derbyshire factory, complete with ISO 9001 accreditation. 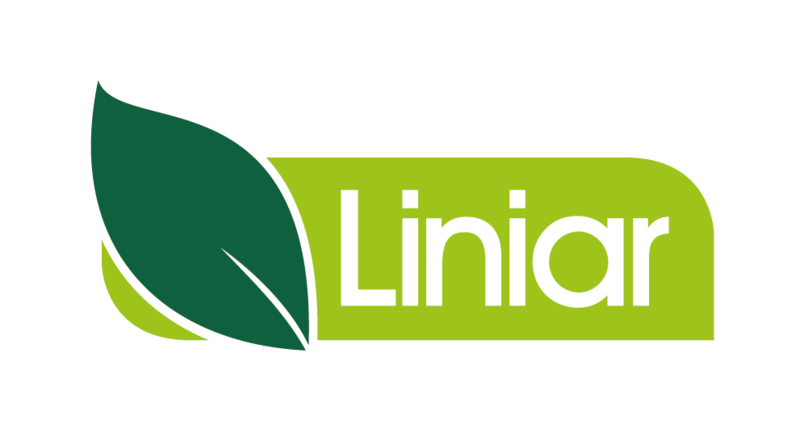 Not only do you get the best deal by buying directly from the manufacturer, you can rest assured that Liniar’s quality systems and customer care are second to none, so if you ever have a problem, they’ll be there at the end of the telephone. All Liniar fencing products are manufactured in the UK from 88% recycled materials, and we have extensive experience in the uPVC market. Our fences are maintenance free and the uPVC system does not rot or rust – making it extremely durable. All you need to do is decide whether you need a permanent installation or the flexibility of temporary fencing that can be used again and again. Easy to transport and carry and with no specialist equipment required for installation, Liniar white picket fencing is supplied in ready-assembled panels of 2m wide – just fix each panel to Liniar’s steel-reinforced posts for extra strength. Liniar’s picket fencing is also ideal for sporting clubs that need a boundary marking out. 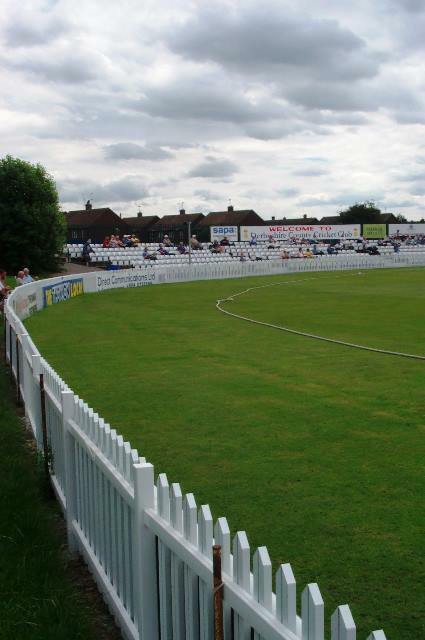 Liniar uPVC permanent picket fencing is supplied to various cricket, football and rugby clubs for this exact purpose. 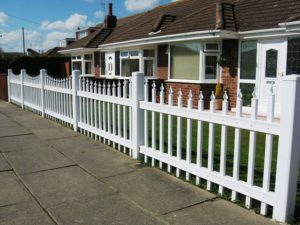 The white picket fencing is ideal for such installations as it is easy to construct, will not warp or rot and requires no maintenance other than the occasional clean. Picket fencing is also perfect for exhibitions, shows and fairgrounds, seasonal displays and any other such event, both indoor and outdoor. Ask us for more information on 01332 883900.